In Mazel Tov! It s a Boy/Mazel Tov! 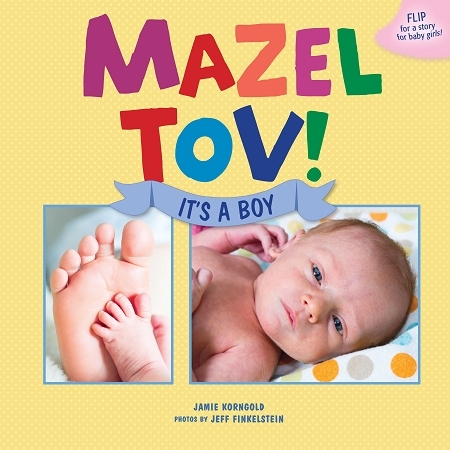 It s a Girl, join two Jewish families as they welcome a new baby. On one side, read about the celebration for a baby boy, and then flip the book over for a story about welcoming a baby girl. Both sides are told from the perspective of a young girl welcoming her first sibling, making this a wonderful introductory book for children of growing families. "Korngold's simple approach to this vital topic works well and is nicely coupled with clear, color photography of the same family documenting the activity of these two very special days . . . A joyful and eminently useful book."